Last Summer, I fell hard for Clarins Extra Comfort Foundation so when I got wind of a new release from the brand, Clarins True Radiance Foundation*, I was really excited to try it out. 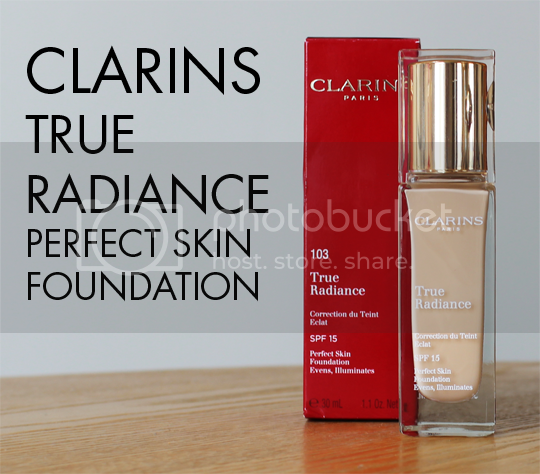 Now, I might be mistaken because I wasn’t overly familiar with Clarins back then, but I’m sure they had a foundation called True Radiance in 2009 that was well loved but limited edition. If this is a re-release of the same formula, I’m sure there will be a lot of happy campers out there. The formula is almost the polar opposite to Extra Comfort, which was a thick cream texture – this one is a lot lighter and more fluid. 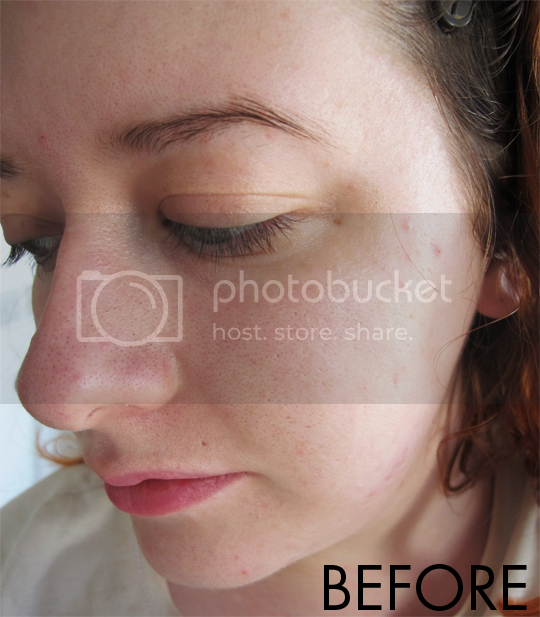 True Radiance offers high coverage, concealing all manner of skin sins but with a really natural looking finish. It also gives, as the name would suggest, a very glowly and radiant finish which doesn’t look at all shiny. This is down to what Clarins call their ‘radiance booster complex’, which claims to boost skin’s natural luminosity through using specifically shaped pigments in its formula that optimise the reflection of light. However it does it, it works. Clarins True Radiance foundation is also a great choice for drier skins as the formula is packed with hydrating ingredients including plant extracts from Moringa seed and Samphire, and something I’ve never heard of before called Tara Gum which forms a hydrating layer on the skin’s surface. All of this combines to create a really forgiving formula – with SPF 15 to boot – that won’t exacerbate any dry patches. And, despite its hydrating nature and suitability for dry skins, I find it lasts really well on my own oily skin. Sounds like a dream come true, right? There’s one big snag: colour range. There are 12 shades, so not exactly lacking, but if you’re ghostly pale like me you’re not going to be in luck. I’ve tried shade 103 Ivory, which is actually the second lightest shade in the range, not the absolute lightest, but you can see in the photo above that it’s way too dark for me. I might have a shot with shade 102.5 Porcelain, but I’m not holding out much hope as there can’t be that much difference between the two. All in all, a gorgeous foundation but should be avoided by the very pale among us due to lack of suitable shades which is a huge shame. If you do want to try it out, I highly recommend visiting a Clarins counter for colour matching before dropping your dollar. 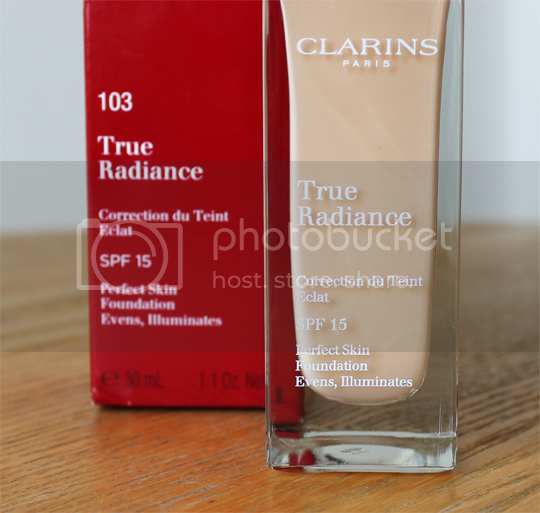 Clarins True Radiance Foundation will be on counter from September 2014 and will cost £27 for 30ml. 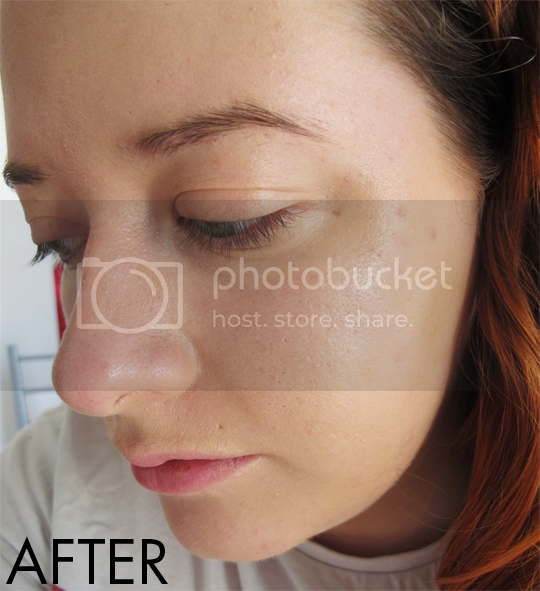 This new foundation looks so amazing !!! it looks so good on you ! Did you forget me ? ?